Biodiesel is an alternative fuel that is made from a variety of natural resources, including vegetable oil and animal fat. It can be used to power vehicle engines that might otherwise use diesel fuel. Is biodiesel a good alternative to fossil fuels? What are the pros and cons of biodiesel? Let's find out. A lot of what's used to create biodiesel is essentially waste. For example, animal fat from meat processing and used cooking oil from restaurants and food processing can be used to make biodiesel fuel. This makes it a very affordable fuel source vs. crude oil. Since it comes from animal and plant resources, biodiesel is biodegradable, so any spills or leaks would do very little damage to the environment (and they would also be easier to clean up). Plus, emissions coming from vehicles using biodiesel are up to 86 percent cleaner if the fat source is from animals and up to 57 percent cleaner if the oil comes from soy or rapeseed. Biodiesel does not require a lot of processing in order to be ready to use as a fuel source. There are a few different blends of biodiesel currently available: B2 with 2 percent biodiesel, B5 with 5 percent biodiesel, B20 with 20 percent biodiesel, B100 with 100 percent biodiesel. In the mixes (those that aren't 100 percent biodiesel), the remainder is regular crude oil-derived diesel fuel. The blends can usually be used in most modern diesel engines without too much additional modification. B100 requires modifications to use properly. Biodiesel isn't just used in diesel engines either. It can be used by railways, aircraft, as heating fuel, in diesel generators and as a method to clean up oil spills. In the latter, the biodiesel is mixed with the crude oil to help dissolve it, which it's able to do due to the containment of methyl ester. The mixture can then be removed from the water surface with skimmers. Any remaining oil and biodiesel mix will usually be broken down quickly due to the quick degradation of biodiesel in nature. As previously mentioned, biodiesel is very cheap to produce. If it could be relied on in a larger capacity, it would serve to reduce dependence on foreign oil. Further, it would reduce waste as the products often going into its production would have otherwise been wasted. If you've ever seen congealed oil or animal fat in your fridge after storing leftovers, then you have a good idea what biodiesel is can do in the cold. It congeals at low temperatures, which makes it less feasible in areas with very cold winters or generally cooler temperatures, whether as a home heating source or for use in a vehicle. The transformation of biodiesel in cold temperatures starts with small crystals, progresses to larger crystals, then turns to gel and finally becomes solid. Beef fats gel the fastest at 61 degrees (Fahrenheit). Palm oil turns to gel around 55 degrees, and canola oil turns to gel at 14 degrees. 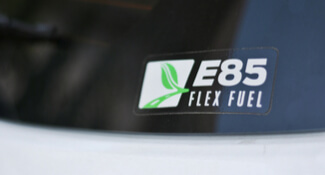 Biodiesel reduces fuel efficiency for mixes from the B20 on up to the B100 by as much as two percent; power can also be reduced by about 10 percent. This adds up to needing 1.1 gallons of biodiesel to replicate the energy of one gallon of regular diesel. Blends with more biodiesel will reduce these numbers even further. Another problem with biodiesel is that if there were ever to be a high demand for it, it could cause farmers to grow more of their crops for biodiesel, thus reducing crops for food. This could then lead to food shortages and higher prices for food, which would negate many of the savings involved with using biodiesel. 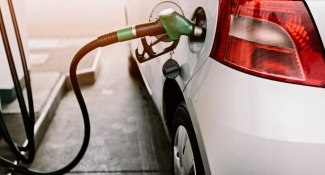 Currently, biodiesel is not widely accessible or affordable. 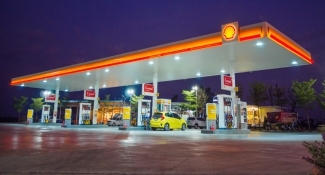 Users may find it difficult to find filling stations and they may have to contact suppliers directly to get some. Because the supply and demand are currently low, the fuel is also more expensive. Plus, using vegetable oil produced from soybeans, palms, and rapeseeds is not a waste product and can push the costs even higher. Using high-concentration biodiesel blends can also damage engines. Most standard diesel engines were built to run with petrodiesel, and so using biodiesel inevitably causes damage. This is mainly due to deposits that clog filters, pipes, lines, and seals. One of the issues is that biodiesel actually breaks down anything made with rubber, which causes it to degrade any rubber engine components. These problems are more likely to occur with blends of B20 and above. The process starts with raw materials such as animal fat, used cooking oil or plant-derived oils. It is then refined to remove any impurities. Next up is the transesterification process, which blends alcohol with the refined material to create methyl esters and glycerine. The latter is a by-product and is removed from the remaining process to be used in the production of soap and the like. Once that is removed, the methyl esters go through a washing process to leave a methanol remainder. The (very crucial) last step is purification. Once again, the biodiesel is tested for impurities and any particles are removed. The nearly-finished product goes through about 20 tests and the final product usually always outperforms industry standards. Is Biodiesel the Fuel of the Future? In order for biodiesel to really make an impact, the environment around it needs to change too. As previously mentioned, almost all diesel engines are built to run petroleum diesel, which makes it difficult to use high mixes of biodiesel. In order to make biodiesel more feasible, more engines need to be made specifically to run biodiesel efficiently. Just like vehicles were constructed to run a hybrid of fuel and electricity, there could be a push to make diesel engines to run biodiesel. Otherwise, the fuel could continue to be hard to get, not terribly affordable and not attractive to the average person who doesnt want to deal with the possibility of engine damage or reduced fuel efficiency by using it. Is Premium Gas Worth It vs Regular Gas? What is Top Tier Gas?